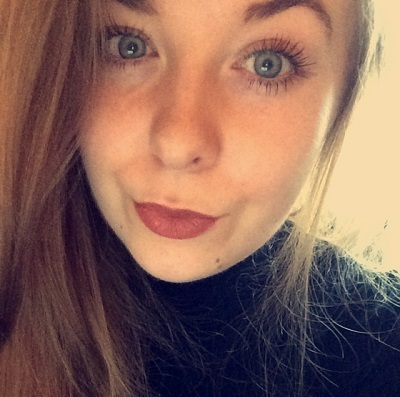 Here's a quick look at my monthly favourites! A new addition to my perfume collection over the last couple of months has been the Thierry Mugler Alien. It's been the only perfume I have been wearing. It has such a fresh, and deep scent, it's quite mysterious as I can't fully pinpoint what combination of smells it has combined within the fragrance. To me, it has bursting floral and woody aromas, that really work together to make a great feminine fragrance. Carmex Lip Balm has been my lifesaver over the last month. Now that we are heading into the colder months of the year, this product is something I can't be without! I have 2 or 3 in my bag at all times. It's been one of the only lip balm products to fully moisturise and relieves my lips from the cold weather. The Lee Stafford Nourishing Argan Oil Hair Dryer has been a recent purchase of mine, and I can't believe I didn't buy it sooner. My hair has definitely had a huge appearance and texture boost since using this and I know it will be perfect to keep my hair in good condition for the colder months ahead. Infused with Moroccan Argan oil helps to add a radiant shine, improved condition and protects against the use of heat. The hair dryer also comes with 2 speed and 3 temperature settings. I've also noticed that it takes very little time nowadays to dry my hair, which is great as I don't know anyone who actually likes do dry their hair! A definite must have! Something new that I've tried this month has been the Lee Stafford Coco Loco Heat Protection Spray. As a huge haircare lover, I never usually use the same heat protection spray as I like to try out as many as I can, but this one from Lee Stafford has been amazing to use. Enriched with Coconut Oil, one of the best natural ingredients to help nourish and condition the hair, this lightweight spray has made detangling my hair the easiest thing in the world. With towel-dried hair, I like to spritz this spray all over my hair and gently brush through. This leaves my hair looking shiny and feeling super soft, as well as leaving a hint of coconut scent! I recently post about my Netflix recommendations, and I featured the series Making A Murderer. Since this post went live, Making A Murdered has now launched part 2 of the documentary and I'm obsessed. This series is very gripping and I've been non-stop watching. It's definitely something you need to watch if you haven't already! 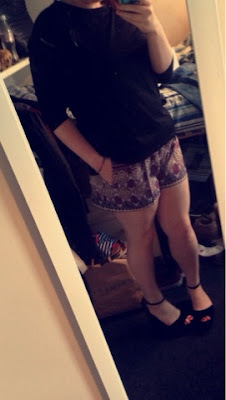 Lately, I've been obsessed with buying Primark Pyjamas, especially the £10 Disney sets. I've picked up a couple of Lilo & Stitch pyjamas, but my favourites have definitely been The Lion King. 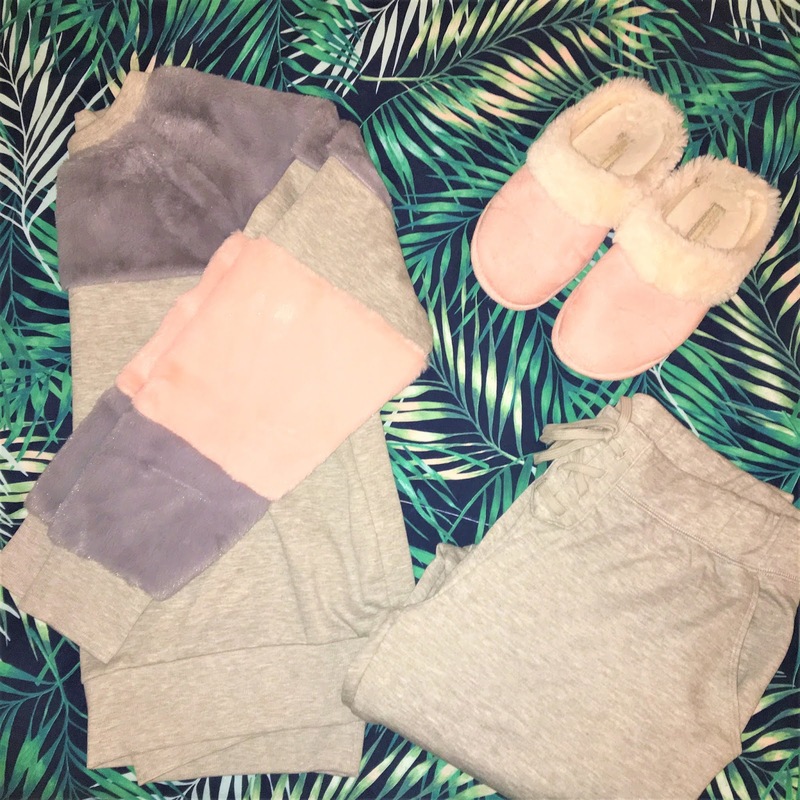 The pyjamas are so soft and super comfortable, you forget you even have anything on! I also love the fact the pyjama bottoms are usually cuffed, as these are my preferred style of trouser. Very affordable and very cute! 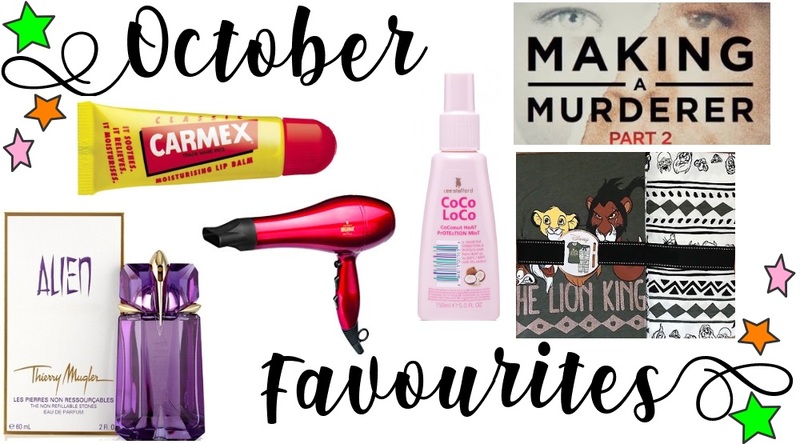 What are you favourites this month? For this months wishlist edit, I will be focusing on fashion and style products that I have got my eyes on. When it comes to clothes shopping, I try and purchase staple pieces that I know are going to last and will see me through all seasons in some way or another. So lets take a look at January's picks. As mentioned in my December Favourites, I absolutely adore my white and black Roshe Runs. They are my most worn and go-to choice of footwear on an everyday basis. Don't get me wrong I love wearing heels and boots for special occasions and times where I want to feel more dressy, but I love being comfortable and supported. I want to purchase a new pair of Nike Roshe Run Trainers, preferably the all black version as I see these being such a versatile piece of footwear and I know they will get as much use as my pair now. 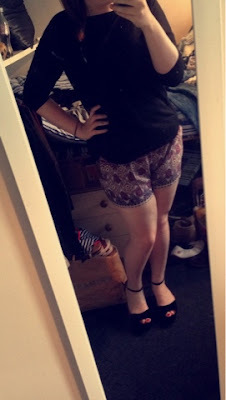 When it comes to basics, I love shopping in New Look. I find that they have such a wide variety and have such affordable prices, there will always be something I like. Whilst browsing the website recently, I came across the Black Ribbed Stripe High Neck 3/4 Sleeve Top / Burgundy Ribbed Stripe High Neck 3/4 Sleeve Top which I thought would be a great basics for the winter to spring transition. I have been loving the high neck feature on tops and feel they just help to make an outfit look more put together, and I also and a fan of the ribbed detail and half sleeves, as I find these to be a very flattering fit. a classy and sophisticated underwear set. Next up, Ankle Boots. I love to wear ankle boots on special occasions and for nights out, especially black boots as I feel they just make an outfit look more dressy and formal, when you want to dress more casually. I've spotted these gorgeous Jones Bootmaker Newby Heeled Ankle Boots that I feel would be a great addition to my shoe collection. And finally, I have been on the look out for a new watch for so long, I just cant seem to find the perfect one. At the moment, I'm wearing a pretty Rose Gold watch from River Island, which is looking a little worse for wear, however it has lasted me a good few years, so I'm not complaining. As I wear my watch everyday, I really want to treat myself as this is really the only piece of jewellery I wear on a daily basis. Saying that, I really have my eye on the Michael Kors MK5263 Ladies Blair Chronograph Watch. I love rose gold watches, as I feel they as just more feminine and sophisticated, and suit my skin tone more than gold/silver, so hopefully some time in the future I shall be purchasing myself a lovely new watch! What products are on your current wishlist? Is there anything from my wishlist that you like the look of? As we have now entered the New Year, I have wanted to include a new monthly series to the blog, where I pair together an outfit that I would be perfect for a date night. Whether its a trip to a restaurant, the cinema, pub or club, or even a fancy cocktail bar, I have wanted to share with you some of my favourite pieces currently on the high street and how I would style them for the perfect outfit of the night. 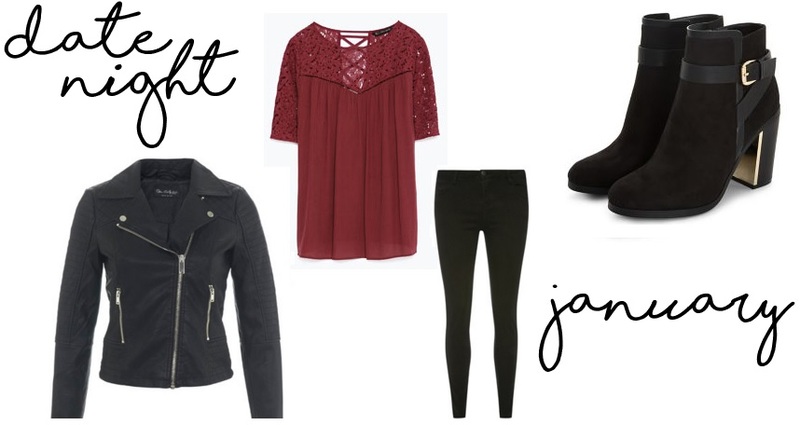 For this particular outfit, I've wanted to keep the colour scheme quite minimal, as this absolute gorgeous top from Zara, the eye catching lace details and the gorgeous shade of burgundy will be the pop of colour that I think is perfect for January, as we are still in the winter months and this colour is still on trend and gorgeous for the time of year. Simply pairing with some high waisted jeans, my current favourites are from Primark, to make your legs look longer and thinner, a simple pair of chunky yet sophisticated boots from New Look, for that added height and what I think just makes the outfit more appropriate for an evening date. Finishing this outfit with just a simple leather jacket for a more casual vibe to this super classic and formal outfit. What is your favourite piece from this outfit? When it comes to footwear, I'm 100% a trainers girl. I like to feel comfortable and secure in shoes, knowing that I have to wear them all day, I want something that's not going to cause me any pain or problems. However, as its getting towards party season and I felt like I needed to add a new pair of shoes into my collection that are more of a smart/casual option. I had been browsing online for a number of weeks looking for the perfect pair of boots. Enter my new Faux Suede Black Lace Up Ankle Boots! I knew these would be versatile with different outfit options, affordable and comfortable. I love that these boots have a chunky block heel, which means they would be practical for daytime and evening wear, as they are super comfortable. They also feature a slight pointed toe, lace up cut out detail and a zip fastening, making them super flattering and chic. These ankle boots would look great with jeans, skirts, shorts and dresses, and I think they are a great piece to make an outfit look more smart and sophisticated. I purchased these from EBAY for £19.99 + £3.99 p&p, which I thought was a bargain, as they look so much more expensive and definitely something you would never have guessed I ordered from Ebay! These boots are available in black, khaki and tan. Are you loving lace up shoes? What shoes are on your wishlists? Have you bought shoes from Ebay before?